Here you can get the list of famous and popular Tourist Spots in Ganjam. If you have planned for the picnic, then Ganjam or Berhampur is one of the best Picnic Spot for your Picnic party. See the below list to know about the famous Picnic spots in Ganjam and experience the Ganjam Tourism. It is famous for a perennial hot spring of Medicinal Sulfuric Water which is located on the State Highways that connects Berhampur with Western Orissa. Being surrounded by a cluster of hills and thick forests, the serenity of nature at Taptapani is added by wonderful sights of sun rise, sun set moon lit night, tribal dance and music, chirps of birds and sight of wild animals. The place as such attracts large numbers of tourists of all category. Poets, writers, scholars, picnickers, holiday makers and newly weds can best exploit the place through all seasons. 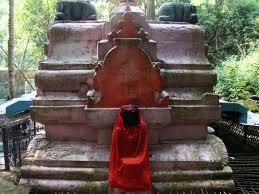 It is a famous religious place in Southern Odisha where the twin sister Goddess i.e. Tara & Tarini adorn the sanctum situated on the top of a hillock girdled by the waddling holy river Rushikulya. Taratarani attracts thousands of devotes, picnickers and visitors through out the year. Special auspicious dates connected with the rites and titular of the twin goddess i.e. the four Tuesdays in the month of Chaitra and that of the all Sankranties in Hindu Calendar. Walking over 999 steps from the foot of the hill, to the hill top under shadows of green plantation is very much amusing and pleasure making. Buguda is a small town in Ghumusar Sub-Division of Ganjam district. It is famous for the temple of Biranchinarayan. The temple was built by king Srikara Bhanja who ascended the throne of Ghumusar in 1790 A.D. The image of God Biranchinarayan which is installed in the sanctum of the temple was recovered from the ruins of Malatigarh. About the finding of the status Sewell in his Ghumusar Report has stated that once a heredboy, while tending cattle, struck his foot against a plate of metal at the foot of the hill. Consequently the villagers dug up the portion and unearthed a lifesize image of Suryanarayan which was carried to Buguda where it was consecrated in a new temple. The temple subsequently came to be known as Biranchinarayan. The temple is built in the form of a chariot driven by seven horses. The temple is conspicuous for its remarkable wood carvings and wall paintings. The wood carvings are noticed on the ceiling of the Mandap and on the jambs of the entrance door way as well. At the other end of the main road facing the temple of Biranchinarayan is a temple dedicated to Lord Jagannath. The temple is built in such a manner that the devotees can see the arati of both the temples at the same time from any of these two places. This temple is at a distance of about 3 kms towards the north of Buguda is Buddhakhol, which is a scenic spot frequently visited by tourists and picnickers. Amidst natural surroundings there is a cluster of five temples on the top of a hill, dedicated to Lord Siva, popularly known as Panchu Mahadeva. At the upper most part of the hill a perennial stream forms a waterfal. A number of Buddhist remains have been found at the place which give the impression that it was a Buddhist settlement in ancient days. Not far from the place there are numerous caves one of which is called Siddha Gumpha where Buddhist monks were said to have performed meditation in old days. On Sivaratri and Kartika Purnima days a large number of people gather here to offer Puja at the temple. It is situated at a distance of 10 kms from Purushotampur. The place is of great historical importance as one of the famous rock edicts of Ashok is located here. Jaugada or Jatudurga (Lac fort) as it was known in classical times, is said to be associated with Mahabharta episode. Tradition ascribes that the fort of Jaugada was built by Duryodhana of Mahabharata fame. Its name jau or Lac is from a tradition that it was made of Lac and was therefore impregnable as no enemy could scale the walls as they were smooth and slippery. Jaugada stands as the symbol of all the historical heritage connected with the Rushikulya Valley civilisation. From the bank of this river, silver coins of the pre Mauryan age have been discovered. The Ashokan inscription at Jaugada is incised on a rock face some 30 feet long and 15 feet high elevated about 12 feet on a mass of granitic gneiss. The fort of Jaugada was rectangular in shape, the opposite sides being 858 yards by 814 yards respectively. The earthen bank at places is 18 feet high and 148 1/2 feet across at the base and has two entrances on each side. It is famous for Goddess Bagh Devi which is the presiding deity, Kulad is said to be birth place of great Oriya Poet Kabi Samrat Upendra Bhanja. It is situated to the north west of Ganjam District with a ruin fort, river Mahanadi flowing in the east and dense forest in the west side of the ruined fort. Legend speaks that during 12th century a Bhanja ruler had joined hands with a tribal leader KULA to be eradicating the foreign invasion. Seeing the danger from the tribe he stained the tribal leader KULA and on the same place, constructed a fort which was later known as Kulad / Kulargad. The original temple is at the top of the hill known as Upper Bagh Devi with 210 steps. Upendra Bhanja spent his term in meditation at this place. As the steps are yet to be made and the route is very tough for climbing another temple of Goddess Bagh Devi has been constructed near the road where people in large number gather to worship. Kulad has many other temples also. The other important temples of Kulad are Temple of Lord Jagannath, Mausimaa temple, Ratneswar Mahadev temple etc. Sankranti day of every month. Thakurani Yatra every three years. Rathyatra and Dola Purnima, Dashahara (4 days) and Ashoka Ashtami. Visitors usually negotiate the site while traveling on the road that connects Berhampur with Western Orissa. 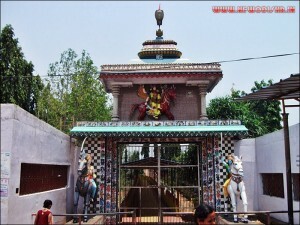 As and when the urban people of Ganjam are browned of an inclement atmosphere, generally, opt to visit Goddess Mahurikalua, Having a shapely visage, smeared with red Leo and decorated peacock tails. This picnic spot of unrivaled ambiance of seclusion allures good number of tourists. Nestling in the heart of coastal Orissa, Chilika is Indias biggest inland lake. Spread over 1,100 square kilometers stretching across the length of the three districts of Puri, Khurdha and Ganjam and finally joins the Bay of Bengal through narrow mouth, forming an enormous lagoon of brackish water. Dotted with many emerald green islands with colourful names such as Honeymoon Island and Breakfast Island, Chilika is home to a rich variety of aquatic fauna. It is also a sanctuary and winter resort for migratory birds, some coming from as far as Siberia. Containing a large variety of fish, the lake provides a livehood to thousands of fisherman. Hundreds of boats sail out daily on the lakes blue expanse in search of mackerel, prawn and crabs- the sight providing an insight into the pageant of rural India at its colourful best. Encircled by hills all along its arched shape shores, Chilika lakes colour changes with passing clouds and the shifting sun. The water ripples languidly, occasionally dancing with a gentle breeze from across the Bay of Bengal. Nearer to National Highway No.5 (from Chatrapur)is the beautiful Tampara Lake, With gentle waves breaking on the shore, Tampara offers great avenues for water sports, One can also take a leisurely stroll through the vast stretches of cashew plantations along the shore. An exciting is trek about 2 kms trough these plantation leads to avirgin beach on the Bay of Bengal. A trip to Tampara is sure to be adventurous as well as pleasurable. It is one of the another Shaktipitha of Ganjam District situated to the south of Digapahandi . In ancient times the deity was worshipped inside the dense jungle which is full of wild animals. The place is regularly visited by devotees but the fair of Dola Purnima attracts a large influx of devotees. Facilities available :- A concrete road of 6 kms. has been developed by the R.D Department and from the N.H 217 about 8 kms rural road. Electricity & drinking water facilities are available. It is a small village of Ganjam District. Here Lord Ganesh is worshipped in the groove of a large Pipal tree for ages. The actual age of the temple is not available on record. According to legend, the Lord Ganesh idol with its left facing tusk (otherwise known as Sidha Vinayaka) is some way related with Sri Purushottam Dev, the then Gajapati of Puri. On the eve of Vinayaka Sukla Chaturthi, lakhs of devotees especially from neighboring State throng the temple and offer worship to the God. At a distance of 11km. towards west of Buguda Maa Sankulayee Pitha at Antarapada is one of the famous shakti peetha and ecotourism centre for its innate picturesque surrounding natural scenic beauty due to its amidst location at the foot of towering Giripuja hill including other hill ranges.From a true historical tale, the shrine of Maa Sankulayee had been established in 1700 AD.by the king Dhananjaya Bhanja i.e King of glorious Bhanja dynasty of Ghumusar and the great grand father of internationally famed oriya poet Kavi Samrat Upendra Bhanja. Devotees, picnickers and visitors visit Maa Sankulayee Pitha throughout the year for enjoying the scenic beauty of hills and forests and for seeing the precious wild life like blackbucks, deers & peacocks, but thousands throng on the auspicious occasions of Dasahara (Maha Saptami to Maha Navami), all Tuesdays of odia month Chaitra (Famed for Chitra Mangalabara), every Sankrantis and Kartika Purnima. Give Responses for "Famous Tourist Spots in Ganjam"